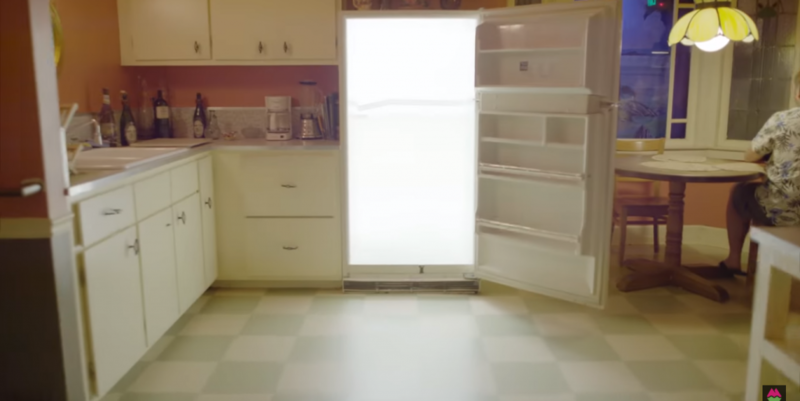 If your idea of a contemporary art experience still takes place within the stuffy “white cube” of a gallery, then you clearly haven’t met Meow Wolf. The explosively popular Santa Fe-based collective-turned-multimillion-dollar-corporation is slowly working on transforming the way viewers interact with art, one psychedelic location-specific experience at a time. Meow Wolf’s House of Eternal Return in Santa Fe, NM. Image c/o Meow Wolf’s Facebook page. What exactly is Meow Wolf? That, it seems, is the question. The massive corporation now known as Meow Wolf started off as a small collective in Santa Fe, New Mexico after continually having their work excluded from art galleries. As the third-largest art market in the country, according to Southwest, the typical Santa Fe arts patron favors reasonably-sized pieces that can fit well in a living room–which hardly describes the early artists of Meow Wolf’s style. Their DIY spirit and a lack of funds led to dumpster diving for materials and thinking outside the box, where the concept of an immersive art experience for everyone, not just rich collectors, came to mind. After years of hard work, (leading to their interactive 2011 work The Due Return, a massive boat with a room full of “interactive gadgets, an onboard forest of color-changing trees, and a novel-length log of the ship’s odyssey through space and time“), the group realized that, in order to create the kind of extensive interactive world they wanted to, they’d need a big space…and major funding. In a bizarre but not off-brand move, they sought the help of Game of Thrones author and Santa Fe resident George R. R. Martin. Martin was impressed by their gusto and creativity, and bought a bowling alley that was up for sale for the group. With work from hundreds of artists, the building was transformed into the House of Eternal Return, which officially opened in 2016 and welcomed its millionth visitor last year. Since then, Meow Wolf has only grown: due to their overwhelming commercial success, what was once a small collective is now a multimillion-dollar corporation that employs hundreds of artists to create and maintain its multiverse-style world in Santa Fe, with similar concepts hatching in Las Vegas (later this year) and in Denver (2020). Inside Meow Wolf’s House of Eternal Return. Image c/o Meow Wolf’s Facebook page. How to describe the House of Eternal Return? Meow Wolf describes the experience as a “multiverse,” where a new, interactive world lurks around every corner. Visitors enter the HOER through a replica of a Victorian-style mansion, and can choose their own adventure by stepping through different doors, fireplaces, and even through the refrigerator, which all act as portals to other worlds. Interacting with the environment (including touching artwork) is necessary to fully experiencing the place, and cameras and photos are allowed and encouraged. The experience has been described by visitors as “what happens when “the original Alice in Wonderland…fell through the rabbit hole,” “a million different dimensions in one building,” “a really trippy video game in real life,” “a big mystery,” and as something that defies explanation without seeing it for oneself. Critic Ben Davis dreamed up a term for Meow Wolf’s work that both sounds like an accurate description of the HOER and, from an art-historical standpoint, sounds like a movement name that’ll stick; Big Fun Art. From what we can tell, though, the House of Eternal Return is a theme-park-style art experience where all ages are invited to interact with and explore their artistic surroundings. Meow Wolf’s success story with the House of Eternal Return is far from normal. In an art world where money generally goes to what moneyed collectors can show off in their homes, Meow Wolf is the exact opposite. 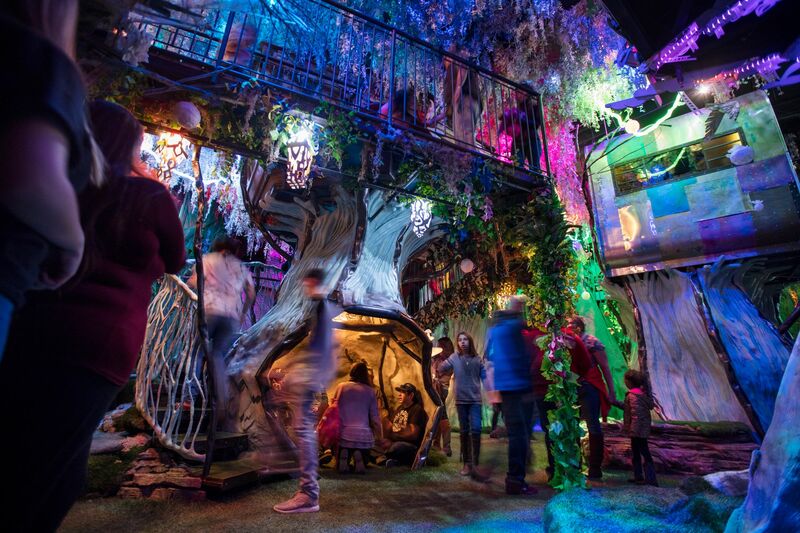 Yet in an increasing digital world where specialized interactions (think pop-up shops and experiences like the Ice Cream Museum) grow increasingly popular, Meow Wolf’s success ultimately makes a lot of sense. Billed as an immersive experience that’s welcoming to kids, families, and those without a lot of artistic or art-historical background, which the gallery world and art market often are not. Inside the House of Eternal Return. Screenshot c/o author from this video. So does Meow Wolf’s major success mean that they’ve sold out to the selfie-taking hordes, as some might argue (even only after seeing that their logo is in a millennial-edible Caboodles-style font)? Well, the fact that Meow Wolf is open about their desire to make money doesn’t somehow make them sell-outs: it actually highlights their aim to pay their artists a wage comparative to that of other skilled professional workers, and for their organization to grow and support other communities (as they have two other locations in the works). (Besides, remember that loads of major artists throughout history have worked on commission and have had workshops helping them to create art.) They’re registered as a B Corporation, and have made strides to enrich their community and make a difference, environmentally. However, experiencing Meow Wolf’s multiverse can only be done by paying admission, which, despite their best intentions, still does not make it art for all in the broad sense of the word. Overall, Meow Wolf’s very existence affirms artists outside of major art centers like New York and Los Angeles that are working on the fringes of the art world who’ve felt that their creativity has always been shunted aside for artwork that will “sell better.” Their success reflects our changing world, and if the art world and market as we know it wants to keep up, they’d do well to learn a thing or two from Meow Wolf. We, for one, are excited that there’s a group of artists aiming to invite all people to experience a wild and wacky side of the contemporary art world. Discover more about Meow Wolf and their documentary Origin Story at their website. 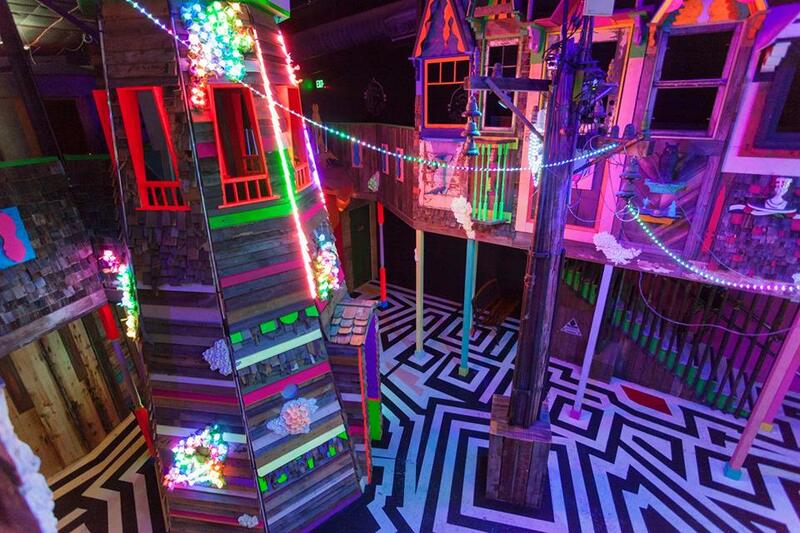 Read more about Meow Wolf at Southwest and Rolling Stone. What do we do here at the Art Docent Program? Discover more about us and our curriculum here. Want more fun art articles? Check out the blog archives, and follow us on Facebook.